Ridley Scott's original Blade Runner, from 1982, is already a very complex film. Your view on the film may change depending on which version you have seen. Regardless of which version you have seen, the film is an introspective look at the underlying humanity of Harrison Ford's character Rick Deckard, tasked with hunting down replicants. As the film progresses, Deckard develops feelings for a fellow replicant, Rachel, as he questions her own humanity. There's been a lot of debate over the decades whether or not Deckard was a replicant. I've always maintained that the mystery of Deckard's humanity was not pertinent to his character journey. Replicant or not, Deckard develops a deeper understanding of replicants and their own humanity thanks to Roy Batty and Rachel and that's the main crux of the film's narrative. Now in Blade Runner 2049, director Denis Villeneuve takes an inverted look at that film's narrative and sci-fi universe. While Deckard was ostensibly a human (maybe?) blade runner hunting down replicants, Ryan Gosling's character Officer K is a more advanced replicant blade runner hunting down older, less advanced replicants. I would argue this makes 2049 even more of a story about the human condition. Deckard was a blade runner trying to understand other replicants' attempts at humanity, while K is a replicant trying to understand his own humanity. It's a brilliant update of the themes and ideas from the original film. Blade Runner 2049 is a perfect sequel because it is not a rehashed telling of the first film's story. Characters from the original appear only if they are necessary for the film's plot. Like any good sequel, it takes the original's themes, ideas and motifs and expands upon them in complex but satisfying ways. It also makes it a great companion piece for the original Blade Runner. 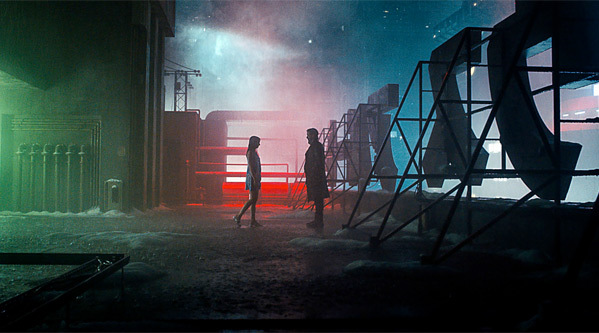 2049 has similar thematic elements, such as a blade runner hunting down replicants, replicants who hunt him and the further exploration of what it means to be human. Where 2049 pivots, and adds to the universe, is how it further expands the ideas of creation, both from the perspective of a child recognizing his/her humanity and an adult coming to terms with parenthood. Pretty much most acclaimed and noteworthy science fiction stories are usually about the human condition. Villeneuve and his writers, Hampton Fancher (who co-wrote the original) and Michael Green, intrinsically understand this. Officer K's journey of self-discovery feels so raw and human because deep down we all want to believe we are special. We yearn for meaning, and sometimes that meaning comes in ways we do not expect or know how to handle. The film's ultimate twist, that Officer K is not the “Chosen One” and thus not really "special" in any way, makes K's quest even more approachable. He's not Neo or Anakin Skywalker, but another replicant who urges to understand why he was created. K doesn't get an answer or catharsis in the film, so he makes his own. He makes sure his death, and thus his life, has meaning by inadvertently sacrificing himself to save Deckard. He takes his life into his own hands. As Dr. Ana Stelline tells him, his memories represent a past but he can define his own future. That's exactly what K does. It's a brilliant example of how in life we all start out the same way, and only through our own free will are we able to achieve anything worthwhile. K may not have been created as something or someone "special", but he made sure he was in his own eyes. Ultimately, that's all that matters in the end. In lesser franchise continuations (or prequels) – like perhaps Ridley Scott's own Prometheus series – there are plenty of questions asked, but the answers are either not always satisfying or not always substantive. Villenueve's 2049 doesn't answer all of its narrative's questions either, but that doesn't mean the story is without resolution or a satisfying conclusion. Wherein Prometheus I was left frustrated, with Blade Runner 2049 I was left satisfied. Officer K doesn't get all the answers he's ultimately looking for in 2049, but narratively that's not the point. In the same way it doesn't matter if the totem has stopped spinning for Cobb in Inception, Officer K has accepted his reality and chooses to still do something substantial regardless. There's something very special about that. This is why I suspect Villeneuve was a better filmmaker to direct this film than even Ridley Scott. Whereas Scott's work has been hit or miss lately – Kingdom of Heaven is great, but Alien: Covenant is more mixed – Villeneuve's entire repertoire has been building towards this. He's able to make Blade Runner 2049 decidedly his own, while still adhering to what came before. Furthermore, a movie like Alien: Convenant doesn't really anything anything new to the franchise, unfortunately. While Prometheus at least attempted to try something new, Covenant is simply more of the same. With Blade Runner 2049, Villeneuve did exactly what any good filmmaker directing a sequel should do: he took the themes of the original and expounded upon them in grandiose fashion. While 2049 deals with the themes of self-discovery, it appropriately also dabbles in the themes of self-atonement. There's a certain intrigue to iconic actor Harrison Ford returning to the roles he made popular decades later. 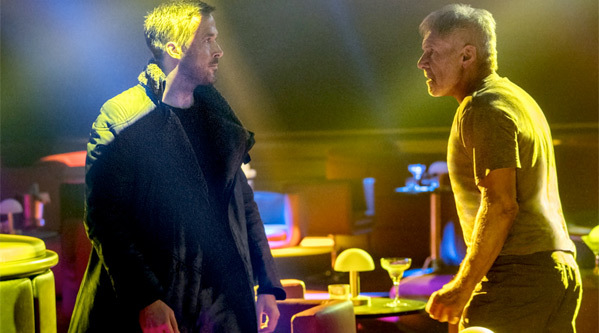 In Blade Runner 2049, Deckard is a father who made decisions he thought were right at the time, but now those decisions come into question. One of the film's best lines, "sometimes to love someone… you have to be a stranger" feels like the summation of Deckard's journey in this film. He's an absentee father trying to prove that he was absent for the right reasons, even if they had less than desirable consequences. 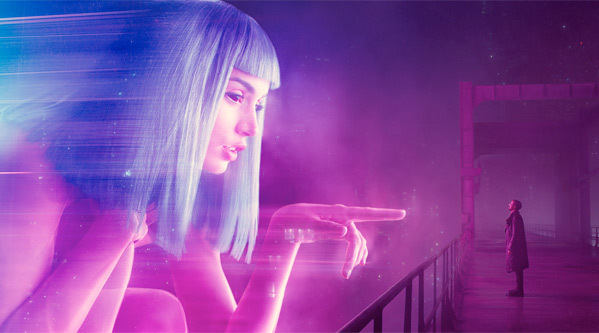 2049 shows Deckard that you don't have to love at a distance, an interesting inversion of Deckard's character transformation in the original. He loved Rachel even though he didn't understand her, yet he doesn't know how to love or care for a daughter he should have understood. Villeneuve's Blade Runner 2049 also understands that like any good sequel, in order for the narrative to advance, so do the characters. In a similar fashion with Officer K, we don't see Deckard's reconciliation with his daughter in the film. It's not important. Deckard has made the decision to reconcile, in the same way Officer K made the decision of self-sacrifice. 2049 is all about the choices we make, and the consequences they have, but aldo how ultimately everything is still our choice. To be human is to choose, regardless of what lies underneath our outward appearance. With that, Denis Villeneuve has made one of the best science-fiction films – and one of the best sequels – in nearly a decade. Blade Runner 2049 excels not just because it knows how to advance the original's narrative and characters, however. Villeneuve is probably the most successful genre filmmaker working today. He has the heart of Steven Spielberg, with the precision of Stanley Kubrick but without any of his coldness. Blade Runner 2049 works because it takes its time to tell its story, letting scenes play out naturally and sometimes in an elongated fashion. He's creating a mood, just like Ridley Scott did for the original Blade Runner. While Scott was creating a mood for distinctive reasons related to genre and atmosphere, Villeneuve is more focused on the philosophical underpinnings of his story. It's impressive that Blade Runner 2049 is really this good. What makes it even more impressive is that Villeneuve is still able to tell his own story within the confines of what came before. Blade Runner 2049 is a unique creation because it doesn't move at the pace or speed as most blockbusters that are being released today. For example, the small storyline with Deckard's dog may have been cut entirely in a different film. However, Villeneuve lets that storyline play out – and watching Deckard's dog see his master leave is heartbreaking. It also speaks to the larger themes within the movie. It may not be necessary, just like the decision to let scenes breathe wasn't necessary, but it informs the world and universe of the film in a way most modern blockbusters and sequels simply do not attempt anymore. Blade Runner 2049 is a film that doesn't come around very often, which is why it is an event. It is an event that should be cherished by anyone that appreciates these kind of thought-provoking and stimulating science fiction stories. It advances the themes, narrative and characters of the original while also telling a singularly new story. It doesn't fall into the traps other sequels have by leaving questions frustratingly unanswered. It ends the narrative in a satisfying way, but leaves the door open for more adventures. It expands the universe of the original, and it doesn't limit it. When I think of disappointing sequels that have taken away from the original, I think of the Star Wars prequels or even Matrix Revolutions. If anything, the Blade Runner universe is enriched further by the presence of Blade Runner 2049. At the end of the film, I wanted more. I wanted more of this world, and more of these characters. That's the sign of any good sequel or film. You should leave the theater always wanting more. Denis Villeneuve's Blade Runner 2049 is a triumph. It's one of the best films of the year, one of the best science fiction films in nearly a decade and quite simply, a perfect sequel. Villeneuve just didn't remake the original film, like a remaster of an old Frank Sinatra song. He took the thematic notes and lyrics of the song and made his own version, one that sounds just as beautiful and majestic as the original. He made it his own special creation. If only more sequels sang a similar tune. Do you agree that Blade Runner 2049 is the perfect sequel?